Here is a writeup and an overview. 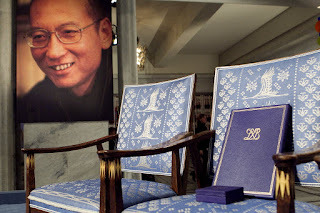 China needs more like him. 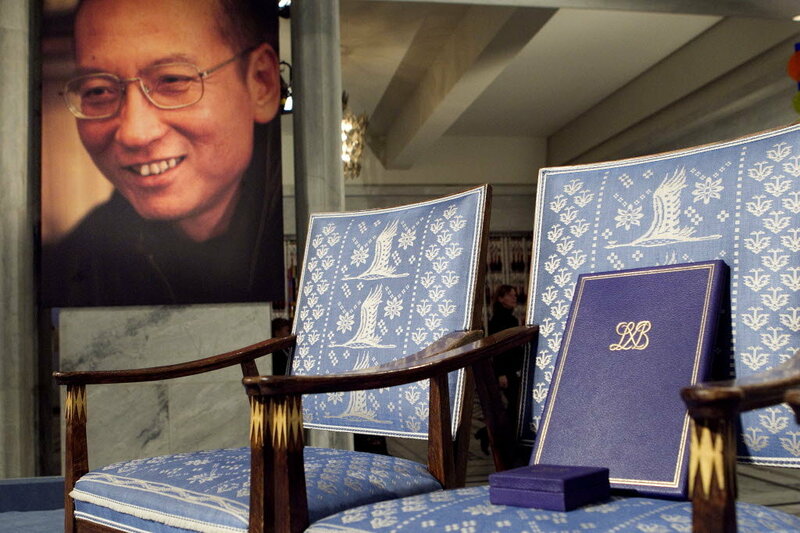 I'll leave you with the indelible image of his empty chair at the 2010 Nobel ceremony that China's leadership did not permit him to attend, for it had imprisoned him the year before. Oh, and do take a look at his lecture.